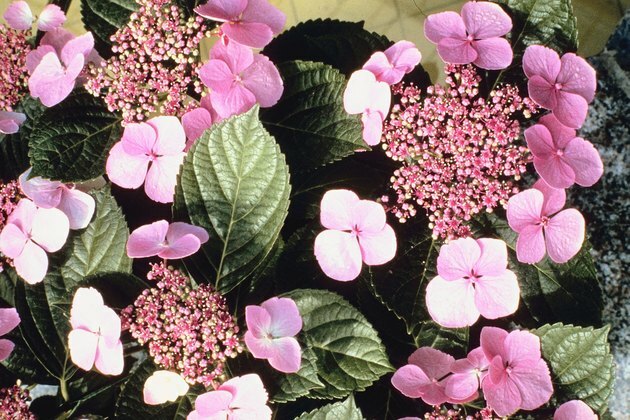 Hydrangeas are flowering woodland shrubs that usually bloom from mid-spring through late summer or early autumn, depending on the specific variety. 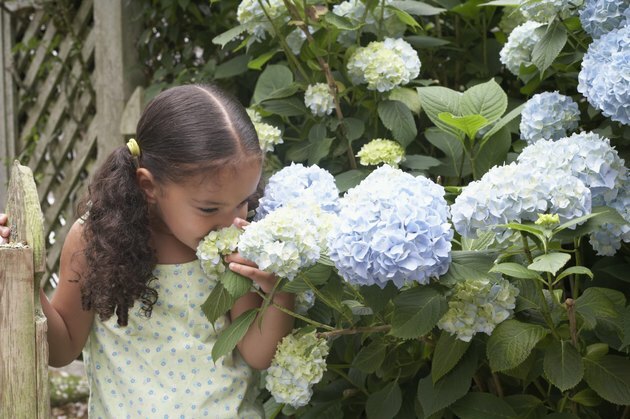 Hydrangeas planted in warm southern climates bloom earlier and longer than northern plantings. 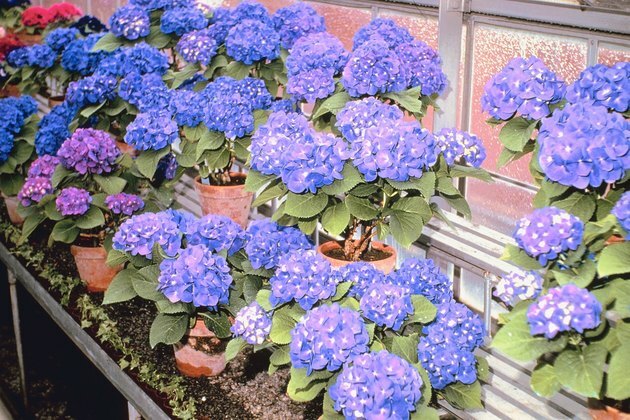 Hydrangeas come in season at different times, depending on the specific variety and the part of the country in which they are planted, but most varieties leaf out in early spring and bloom by mid-spring well into summer. Oak leaf hydrangeas and Hydrangea paniculata Tardiva bloom from late summer through late fall. French hydrangeas planted in southern climates bloom a bit earlier in the season and stay in bloom longer than other varieties. 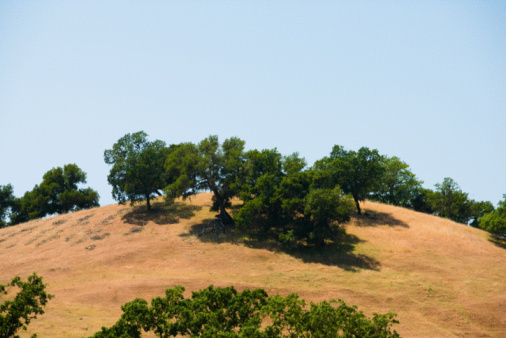 The plants also reach a larger size because of the more favorable climate conditions in the South. 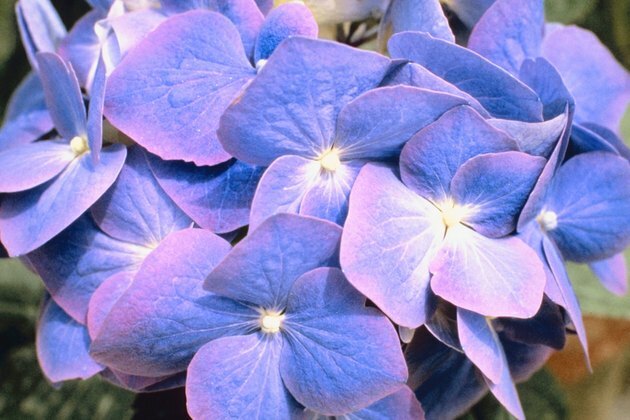 All hydrangeas need moist, well-drained soil and partial shade in order to bloom. Hydrangeas bloom on old wood from the previous year, so branches with spent blooms must be pruned in early spring or late fall to encourage more blooms the following season. Hydrangeas are deciduous shrubs, meaning they lose their leaves in the fall and leaf out again each spring. 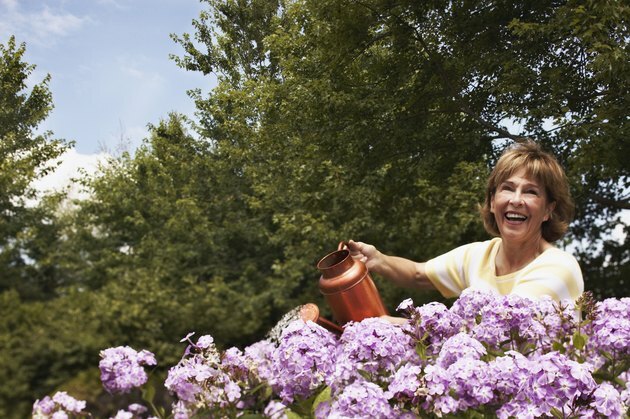 Placing hydrangeas in protected spots in the landscape and out of direct sun and wind is the best way to assure healthy blooms. Hydrangeas are easy to grow when well-placed and have an extended flowering period of as long as 10 weeks. They provide continuous blooms throughout most of the spring, summer and autumn months in most parts of the United States. Pamela Grundy writes about psychology, finance, gardening, ecology and the paranormal. Grundy is a Grand Rapids New Age reporter for Examiner.com, and a regular contributor to "Eye On Life Magazine." Her poetry, short stories, and personal essays have been published in "The Sun," "Square Lake," "No Exit," "Maize," and more.